It has been a pretty busy past week or so since I last updated the blog. 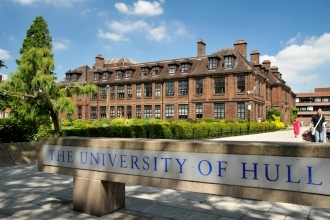 As usual I’ve been volunteering in the wonderful city of York, but I’ve also taken the chance to go back and visit my old university friends back in Hull for a few days. The next post in the Skeletal Series will be added shortly. 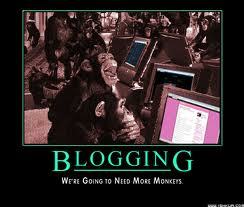 In the meantime I’d thought I’d present what blogs I read around the web concerning archaeology and human osteology. My first port of call is the always informative Powered By Osteons blog by Kristina Killgrove. Dr Killgrove is a biological anthropologist over at the University of North Carolina Chapel Hill, whose PhD dissertation on mobility and migration in ancient Imperial Rome, can be found here. One of her latest entries is an edition of Four Stone Hearth. Four Stone Hearth is a bi-weekly anthropological blog carnival that is hosted on different blog sites each time. Each edition has links to a number of articles written by various people. The articles are often interesting, informative and capture the full plethora of all things anthropological. On the most recent FSH edition, the palaeoanthropologist John Hawks has a weblog entry on his adventures in Rome detailing the relationship between the anthropologist and death. This entry from Hawks is beautifully wrote and runs the gamut from ancient to modern populations and perceptions how death is remembered and presented. Hawk’s weblog includes regular updates (I don’t know how he finds the time!) as well as an extensive back catalogue of blog entries, alongside a dedicated database of articles and where to find them on the internet. Meanwhile over at Bones Don’t Lie, we have Katy Meyers articles on mortuary and bioarchaeology news. Quite often fascinating and interesting updates, the blog also details her own research interests as she pursues a PhD at Michigan State University. Anna’s Bones details the thoughts and journeys that the PhD student Anna Barros (at UCL) has gone through, and it is thoroughly recommended. Her blog entries are vibrant, elegant and are wonderfully evocative. Although it can be a while between posts, each one is worthy of several re -reads. In particular her ‘Stripped‘ series discusses her own personal body idiosyncrasies, and her feelings and tribulations through her life. Lastly we come to a site I have only recently found, as both myself and Confusedious have exchanged various comments and articles when discovering one another’s blogging sites. The Confusedious science site deals with interesting views and articles on a full range of biological and anthropological subjects. This, for the moment, brings this entry to a close. The above are the four main blogs I often read, alongside the mainstream news and archaeological magazines & journals (when the articles are free!). A full list of websites I frequent, support or am interested in, can be found to the bottom right of this site itself.